I would eat cheesy potatoes all day every day if it was socially and medically acceptable. There I said it. Go ahead and judge me. I would probably weigh one million pounds and have a heart attack before the age of thirty so for those reasons (and so many others) I reserve the making and consuming of cheesy potatoes to special occasions and get togethers where there are enough people present to keep me from eating half the pan by myself. That being said, I still find myself wishing I could have cheesy potatoes as a side dish to some of our normal weeknight dinners. I decided to find a way to have my cheesy potatoes and eat them too (just without the one million calories and grams of fat in the original version). It was like Erin from the Spotted Lamb read my mind when she created her Slim Potato Casserole and pinned it for me to find. I will admit it, I was skeptical at first. The original is so good, so cheesy, so sinfully delicious. This new version was shockingly good. It tastes just like the real thing (ok not just like it but close enough for a weeknight). I thought it would be dry, it wasn't. I thought it wouldn't be creamy enough, it was so creamy. I thought I would miss the butter, sour cream, cream of chicken soup and extra 2 cups of cheese but I honestly didn't. 1.) Mix everything together in a big bowl. I left out 1/2 cup of the cheese and saved it to put on top of the dish. 2.) Pour the mixture into a lightly sprayed 9x13 pan. Top with the remaining cheese and any seasoning you like. 3.) Bake at 350 degrees for 30-35 minutes or until the top is a little crunchy looking. Get nutritional info and WW points+ info by clicking the magic button below! MMMM! Can't wait to try these!!! We tried it, we liked it! What a great recipe, all that flavor and not so "fat". Hope you are having a great week and thank you so much for sharing with Full Plate Thursday. What an awesome idea! Thanks so much for linking up! Yummy These look good. I'm a bit of a potato junky myself. I would eat them at every meal if calories and carbs weren't an issue. I would love if you linked these over at Whatcha Whipped Up Wednesday Hope to see you there! Thanks so much for sharing! Cheesy Potatoes are something my family makes quite often and now that I am watching my figure. These will be perfect! These look so good! My mom always makes these for me when I am home....but not the healthy way! This is such a great alternative to the super nonhealthy ones we make!! Thanks for linking up to Fantabulous Friday this week!! Looks delish! We make a "non-diet" version of this around the holidays. Maybe I will substitute this one! Thanks for sharing at the Pomp Party! Pinning to our Pomp Party board! 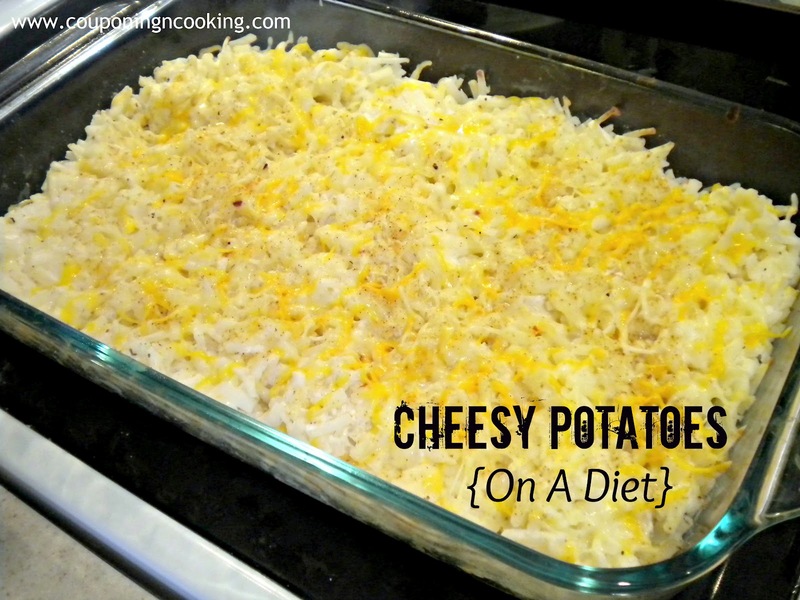 I love cheesy potatoes - I could eat them all day myself. I'll have to make this for the next family get together and see what everyone thinks! this will be perfect for dinner tonight since I dont want to go to the grocery store! hah. Am now following! Would you mind following me back? Thanks! These sound (and look) wonderful! love the tip of using greek yogurt instead of sour cream! we are trying to cut back but love foods like this so glad to see this! I won't be judging you since I could eat cheesy potatoes all the time too! :-) I will have to try these since 4 points is so much better than the 20 points I am sure the original version is. Thanks for sharing on Tout It Tuesday! Hope to see you next week. It sounds good to me even without all the calories. I am willing to try it. Thanks for sharing this with the Recipe Box. Wow. You just made my day. 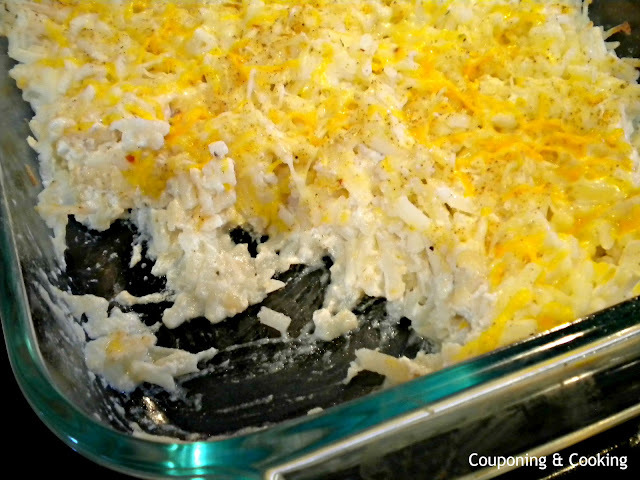 My favorite Sunday side dish are cheesy potatoes but I always feel so guilty eating them! Thanks for sharing this recipe! I'm definitely going to make this for my family! Had to click on your yummy picture on TT&J! Oh, and I'm your newest follower - can't wait to see what you cook up next! Awesome! Thanks for sharing. Looks yummy! 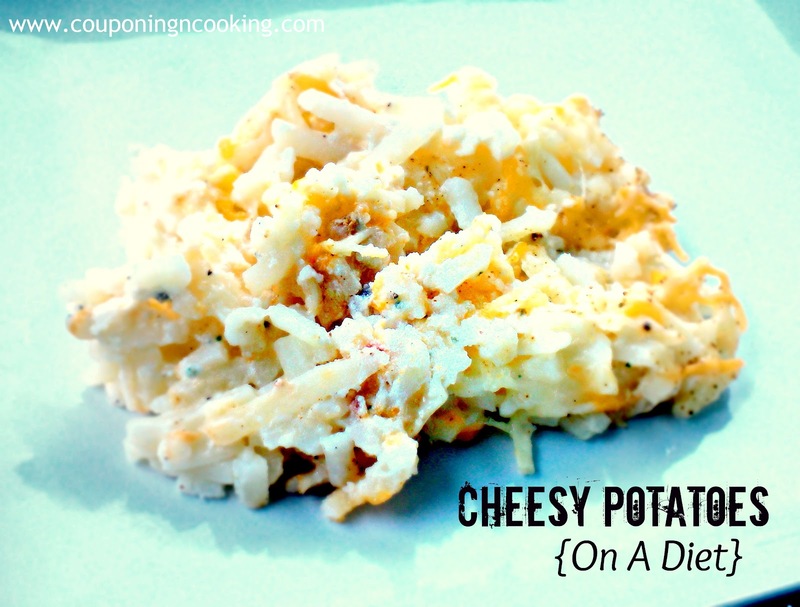 We love cheesy potatoes, but I don't make them very often because of what goes into them:-) What a great way to lighten them up!!! So yuuummmyyy Kaylee! Can't wait to try this too! Thanks for sharing your recipes. This looks so good! Thanks so much for linking up to Mom's Test Meal Mondays! Sounds absolutely yummy. I wonder what it would taste like if I added shredded cauliflower in place of half of the potatoes. Thanks for sharing. Yum- that looks so good!